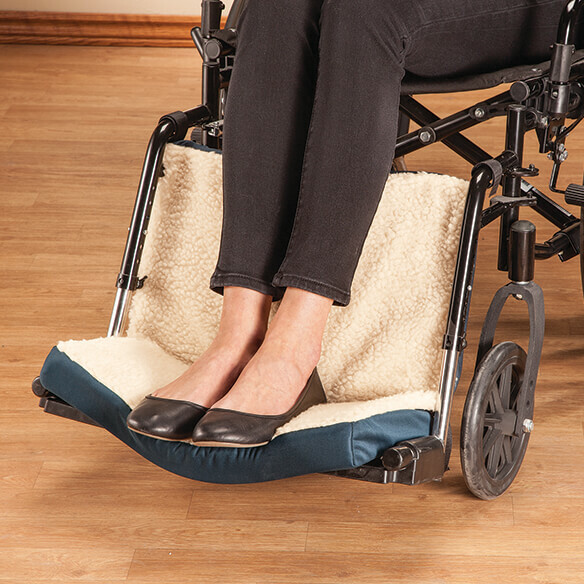 Comfortable Wheelchair Foot & Calf Cushion protects legs and feet from a cold, hard wheelchair. Simply attach the wheelchair cushion to the leg rests using the cushion's 2 hook-and-loop corner straps. 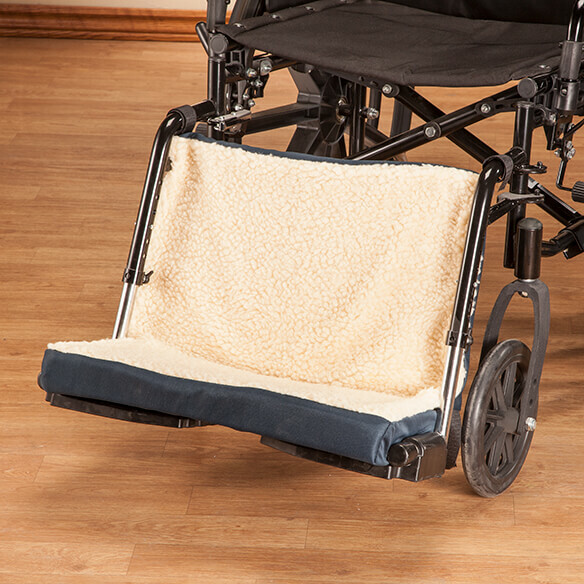 As the foam wheelchair pad lightly supports the feet, ankles and calves, it protects the lower legs from cold metal and drafts. 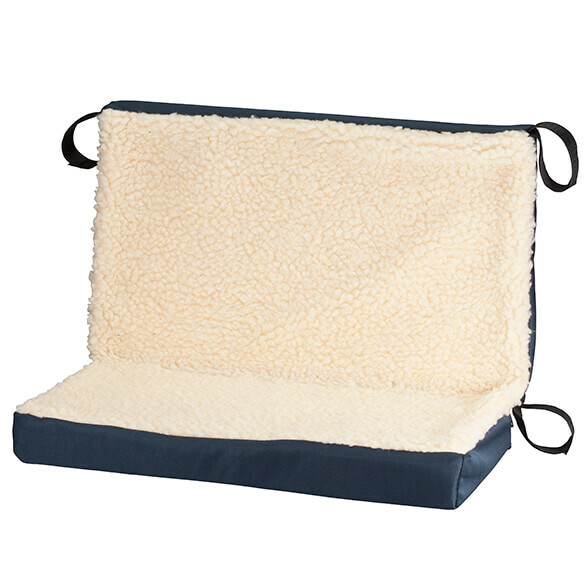 Reversible cushion features cozy sherpa on one side, navy twill on the other.